Serbian team leads this week with 11 contributions. Followed by Spanish nd Portuguese team with 5 contributions each. Then Chinese and Dutch team. 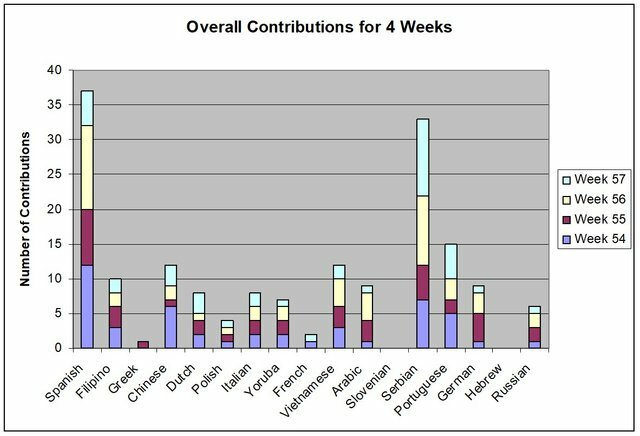 There are no contributions from Greek, Slovenian and Hebrew teams. 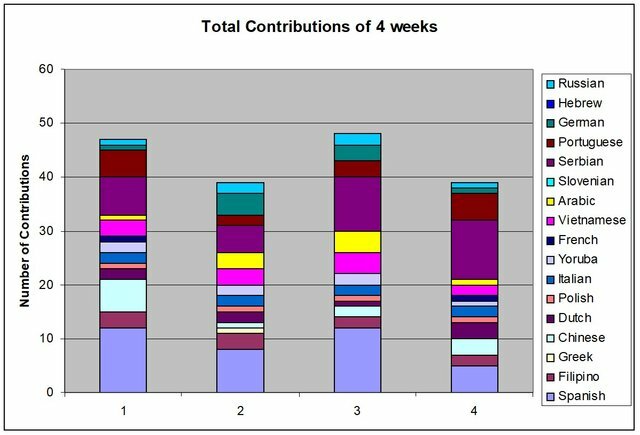 There is a decrease of contributions this week. 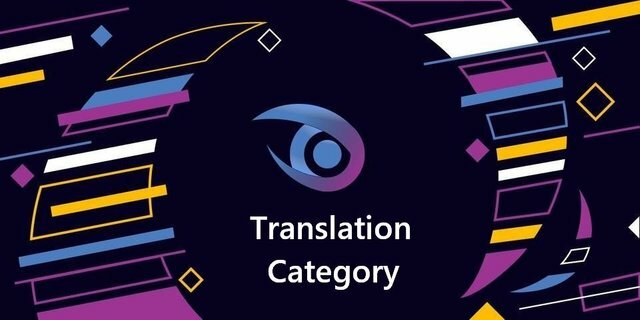 It seems that the translation category is still unstable from week to week. We will need to do some follow up on the Greek team as they used to be one of the most active teams in translation. 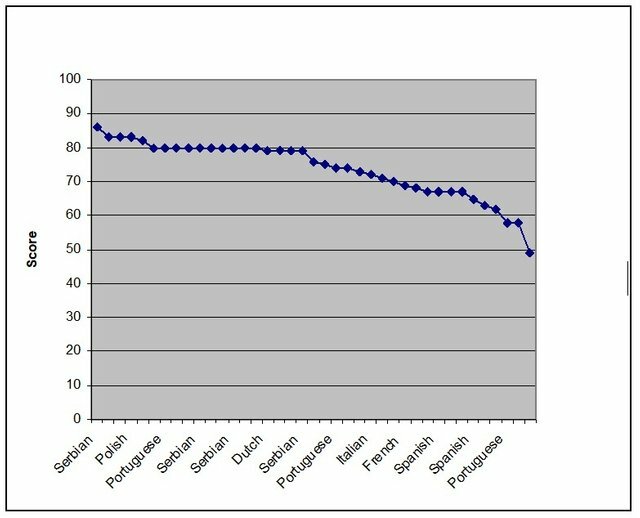 From here, we will need to find out what is happening to translators who are not active and their reasons for inactivity. The highest score this week is 86 given by the Serbian moderator. The lowest score this week is 49 given by the Arabic moderator. About 30% of the contributions receive scores below 70. 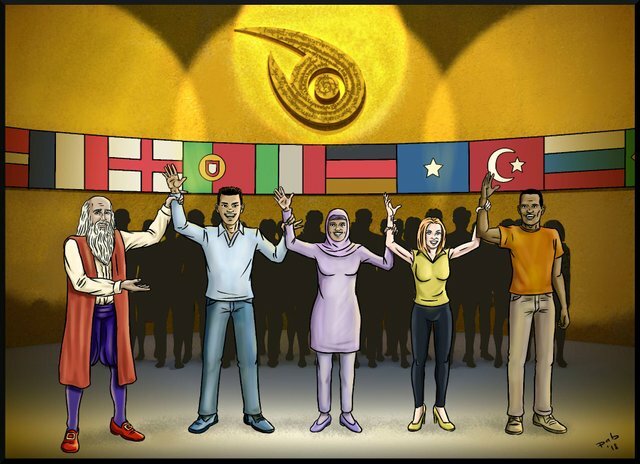 The scores of the new questionnaire are able to reflect the quality of the translation in a better spectrum. We want all translators to get a score above 70 for quality control. 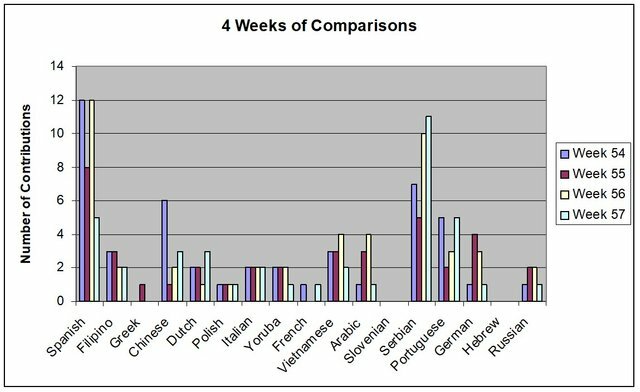 Only 70% of translators meet the standard. The situation is a bit better than last week as there is an increase of 10% quality submission. Contributions that are lower than 70 need remedial training. 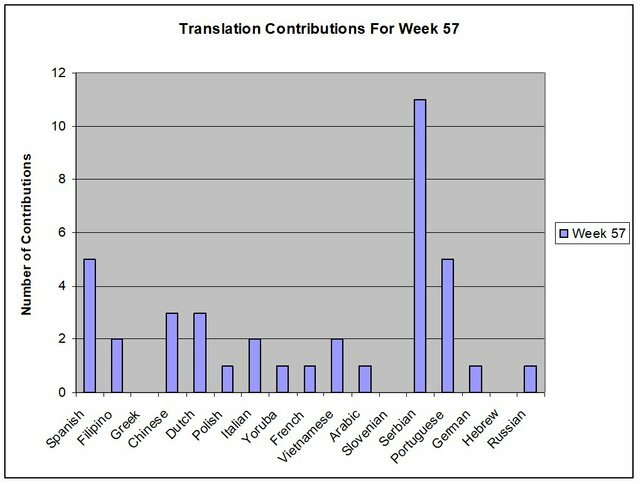 With 30% contributions receiving a score lower than 70, we need to upgrade the quality of our translators. 3. The average score of the Contributions is 74. This week, there is an increase in the quality of the translation work. Unfortunately, there is no staff pick this week. Please note: There were no restructuring of tems this week. It has been quiet these days, so I will start interviewing the translators to get some conversation and engagement going for the DaVinci platform. Since Serbian team has active translators translating in a consistent manner week by week, I an still in the process of interviewing the 3 Serbian translators. This will take some time before I am able to post their interviews. As usual, your report is highly detailed and informative. I appreciate how you regularly make your report extensive and unique. Well done! Despite the decrease in the influx of contribution, I am impressed with the quality of the contribution received. But, I think you guys should focus on teams that are not active and do the necessary restructuring.